LED R7S Lamp. Direct Replacement for Halogen. Dimmable. Ledison Lighting since 2011 has introduced into the market LED lamps that are direct-replacement for halogen, fluorescent and incandescent counterparts. For straight-forward re-lamp it is vital for the manufacturer's to develop bulbs with similar dimension (like the halogen ones) that are connected to the mains voltage of the light fixture. Modification or alteration are not required. 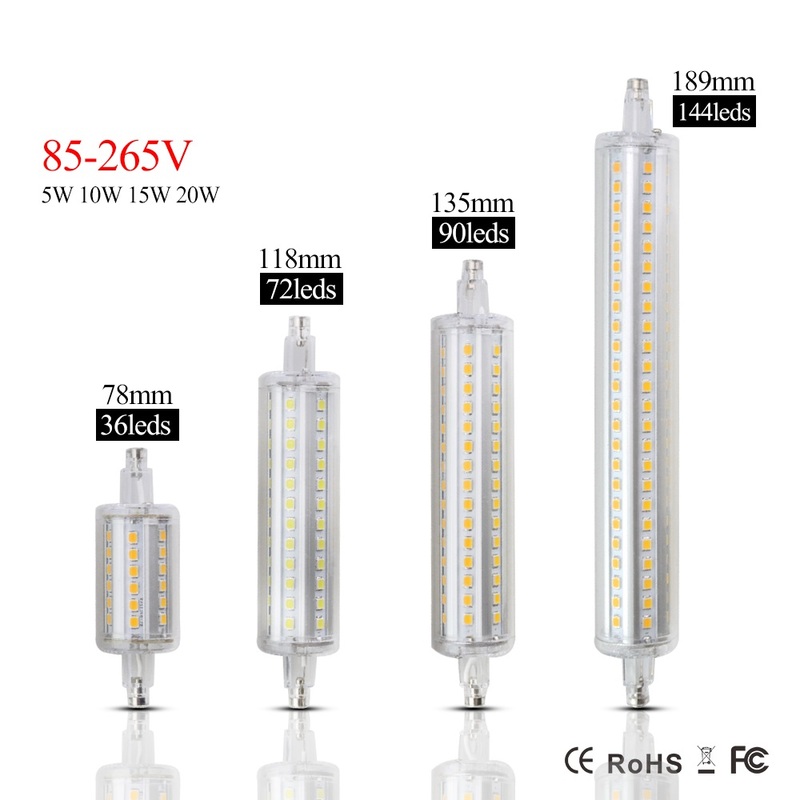 In this web-page you will find four R7S LED Lamps with 360 degrees beam angle. We have also add the dimming function on each bulb to be compatible with ordinary dimmer switches such triac leading and trailing edge. In Warm and Cool White Colour. 78mm Length. 500 Lumen. In Warm and Cool White Colour. 189mm Length. 2000 Lumen.